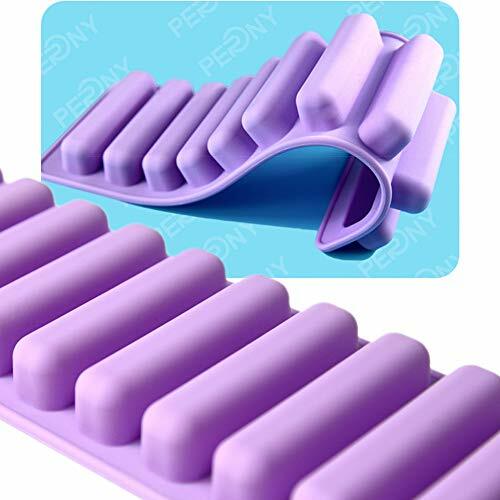 PERNY Silicone Ice Stick Tray, Easy Push Pop Out Narrow Ice Stick Cubes for Sport and Water Bottles. Pack of 2 by PERNY at Baking Love. MPN: 1bangbing. Hurry! Limited time offer. Offer valid only while supplies last. 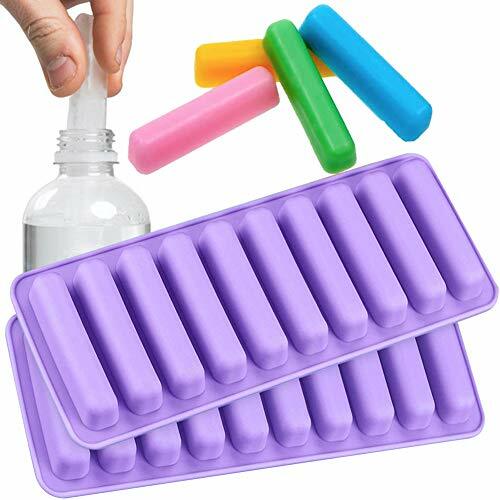 PERNY Silicone Ice Stick Tray, Easy Push Pop Out Narrow Ice Stick Cubes for Sport and Water BottlesTired of not having ice for your bottled beverage? View More In Specialty Tools & Gadgets - Page 4. 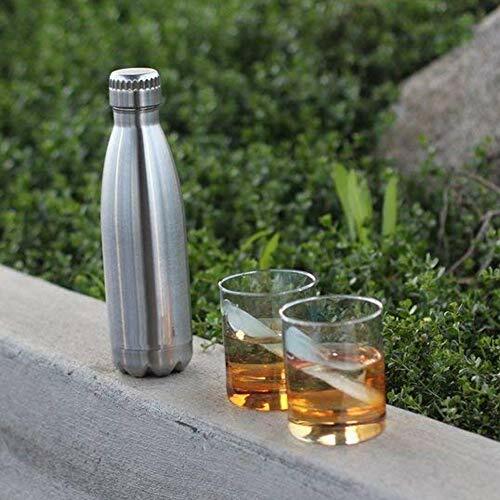 Tired of not having ice for your bottled beverage? Cool your beverages off with Ice Rolls. This mold is constructed with 100% pure, professional quality food-grade silicone, which meets US FDA and European LFGB safety standards (BPA, PVC and Phthalate FREE). 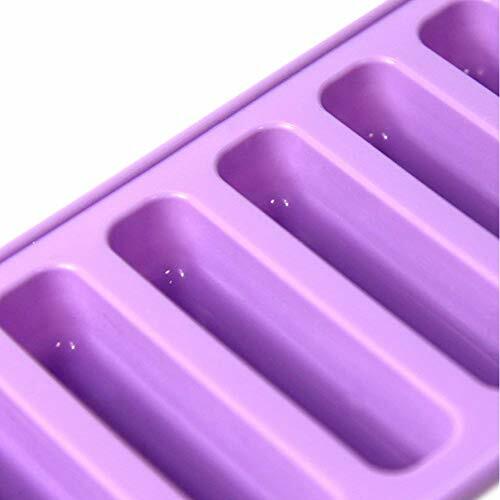 Simply pour your favorite recipe in the mold, prepare, and cool completely. Then turn it upside down, this flexible silicone mold offers a non-stick surface that allows the sweets to pop right out with a little push from the bottom. Remember to place the silicone mold on a baking sheet for easier positioning and removal. ▸ Material: 100% Silicone, No chemical coatings, Can be reused. 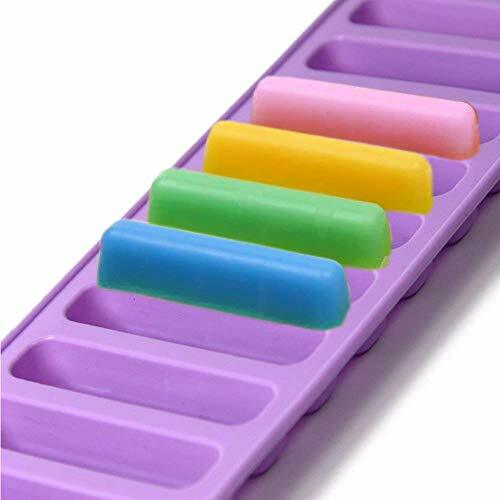 ▸ Uses: Chocolate, Finger cookies,soap, ice cubes, hard candy, crayons, fondant, jello, gels, lotion bars, bath bombs, cake decorations, party favors for birthdays & baby showers, and so much more! ▸ Temperature range: -40 to +446 degrees Fahrenheit. It can be applied to microwave heating, oven baked, non-direct contact with flame cooking, cold storage and freezing.It can be used in the dishwasher, but hand-washing effect better than Dishwasher. ▸ Overall size: 10" x 3.8" x 0.8", Cavity size: 3" x 0.7" x 0.7"
☺ Please check out our special offers for this item when you are buying more than one! 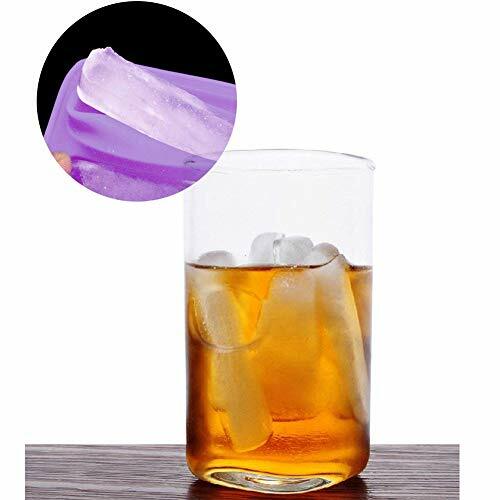 Ice rolls are perfect to fit into water bottles, sports drinks and any other bottles beverages. Also great for soda cans and small mouthed bottles. 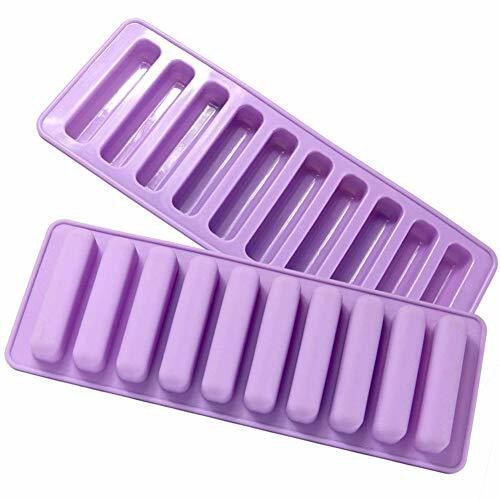 Narrow ice sticks freeze solid more quickly than many cube trays. 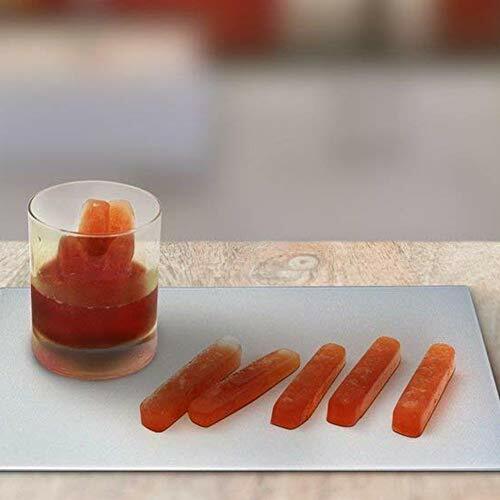 You'll always have perfectly shaped ice Sticks when you need it. Freeze water, juice or other beverages, bake brownies, cookies and mini cakes, mold butter, spreads, chocolate, candies, even soaps, candles, and more. Made of durable, food-grade silicone; freezer-safe; microwave-safe; oven and dishwasher-safe; and BPA free. If you have any questions about this product by PERNY, contact us by completing and submitting the form below. If you are looking for a specif part number, please include it with your message.